We bake fresh every day, from traditional recipes. No. 14M, Jalan Medan Setia Dua, Plaza Damansara, Bukit Damansara, 50490 Kuala Lumpur. Monday to Saturday 8am – 8pm. Closed Sunday. From Sprint Highway, enter Jalan Beringin, turn left at Jalan Setia Murni to reach Plaza Damansara. A little French-themed bakery and café tucked in the back of Bukit Damansara has been garnering an audience of both European regulars and locals traveling from afar curious to see what the fuss has been about. 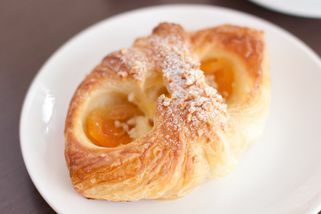 Fragrant croissants, Danish pastries and rustic breads line one side of this quaint shoplot, while Japanese style sweet buns and cookies line the other, tantalizing visitors with mouth-watering aromas. 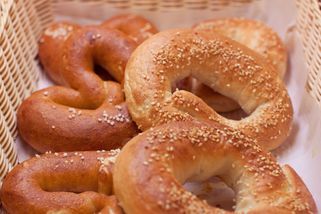 Wheatfield prides itself on the quality of its breads and pastries at reasonable prices, so all products are made from scratch with fresh ingredients and natural leavening. Its recipes, courtesy of its young but talented chef, are based on tradition and hard work. Even the coffee beans are especially selected to be roasted as close to Malaysia as possible. All this care shows in the steady stream of returning customers who’ve come to love this special slice of Paris in the middle of KL. "Superb. 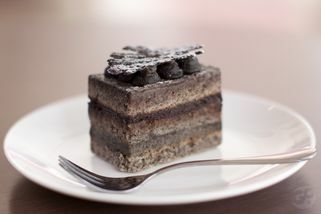 I tried the Black Forest Lo..."
Superb. I tried the Black Forest Log first when my sister got it as a gift Christmas. So impressed I brought my kids over for breakfast and often buy their red velvet swiss roll, everything tastes superb. "Love the peanut flavour swissroll! ..."
Love the peanut flavour swissroll! It's got black spots like a cow. Must try! "Great little bakery and a gorgeous selection"
The Wheatfield bakery and cafe is located on Jln Medan Setia Dua - a narrow street which is quite packed around lunch time. It was quite hard to find parking so my friend and I parked on the opposite side of the adjacent street. The storefront to the bakery is also sunken in a bit into the building (to make room for seating) so you might miss it if you're scanning from afar. Aside from those minor inconveniences, the bakery is a joy to visit. The decor is clean, spacious, warm and inviting as are the staff who were quite attentive and greeted us with smiles. The variety of breads and cakes on display was captivating - I circled the shop twice oo-ing and ah-ing. Who would have thought bread could be this exciting! The prices were actually pretty reasonable (not that much expensive than your regular ol' cake shop) which means you are free to sample as many of these delicacies as your appetite will allow. I would definitely recommend this place for lunch - for the same price, it's 100% less greasy and you'd be 100% happier as a result. They also have an upstairs cafe seating area which is quite spacious and beautiful. 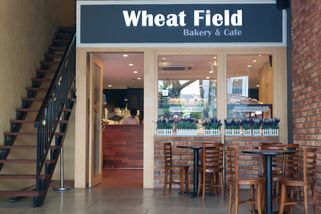 Wheatfields is definitely a great place to bring loved ones to enjoy some peace and quiet and some great bread and coffee - think sunshine, smiles and great conversations. 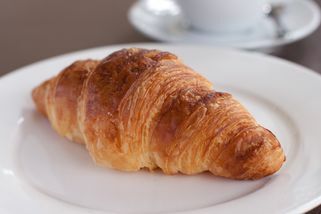 "Really good bread at reasonable price"
The croissant and danish is really good, can taste the real butter taste. 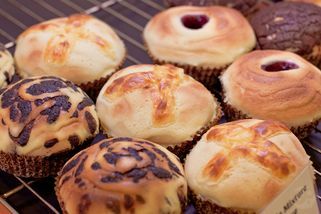 The buns are quite nice, I think it's a bit like Japanese style. 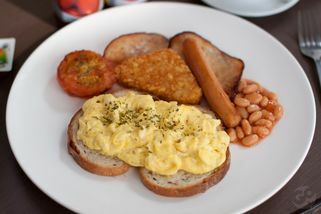 But actually I like the hash browns here the most, haha! You can really feel the texture when you bite and chew, not processed potato but actual pieces. This is one of the best hash browns I had.